Specialties provided including General Surgery, Orthopedics, Obstetrics, Gynecological Care, and Podiatry. 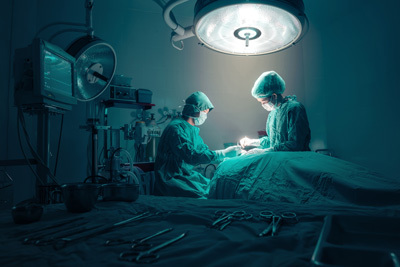 Procedures include: Breast Surgeries, EGD's, Colonoscopies, Port-A-Cath Placement/Removal, Hernia Repair, Laparoscopic Surgeries, Gallbladder Removal, Appendix Removal, Wound Care/Debridement, Removal of Skin Lesions/Tags/Lipomas, and Bowel Surgery. Procedures include: Sports Medicine Injuries, Shoulder Arthroscopy, Knee Arthroscopy, Carpal Tunnel Release, ACL Repair, Rotator Cuff Repair, Tendon/Finger Repairs, and Wrist Surgery. Procedures include: Hysterectomy (laparoscopic, vaginal, and abdominal), Tubal Ligation, Pelvic Floor Prolapse, Management of Incontinence and Novasure Ablations.